This guide shows you how to make the most of Team Foundation Server. It starts with the end in mind, but shows you how to incrementally adopt TFS for your organization. It's a collaborative effort between patterns & practices, Team System team members, and industry experts. Final release is available! Start using the guide today, while we continue to make improvements. 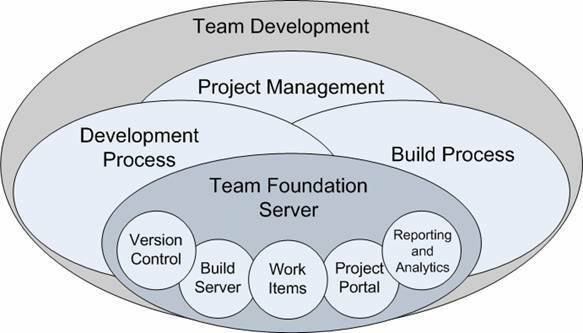 The following diagram illustrates the relationship between typical software development processes relating to team development and how Team Foundation Server can be leveraged to provide horizontal foundational support for these initiatives. Prashant Bansode, Infosys Technologies Ltd.